Researchers at Stanford University have developed a lithium-ion battery that shuts down as it begins to overheat, potentially meaning the types of catastrophic fires seen in hoverboards, laptops and airliners could become a thing of the past. 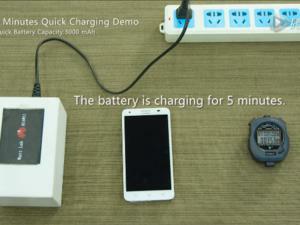 Lithium-ion batteries are used in just about all portable electronics. They’re light, can store a lot of energy and are easily recharged, but they are also susceptible to overheating if damaged. A short circuit in the battery often leads to fire. 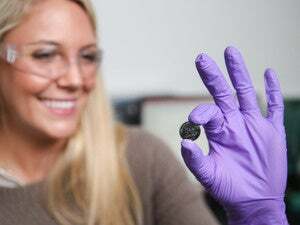 In the new Stanford battery, researchers employed a polyethylene film that has embedded particles of nickel with nanoscale spikes. 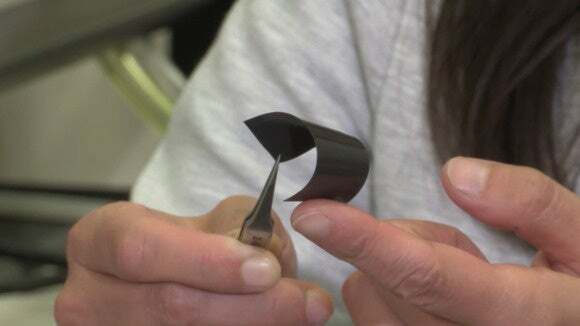 They coated the spikes with graphene, a conducting material, so that electricity can flow over the surface. But when the temperature rises, the film expands, and at about 70 degrees Celsius (160 degrees Fahrenheit) the conducting spikes no longer touch each other, breaking the circuit and causing the battery to shut down. Zhenan Bao, a professor of chemical engineering at Stanford University, examines a polyethylene film in a lab at the university. 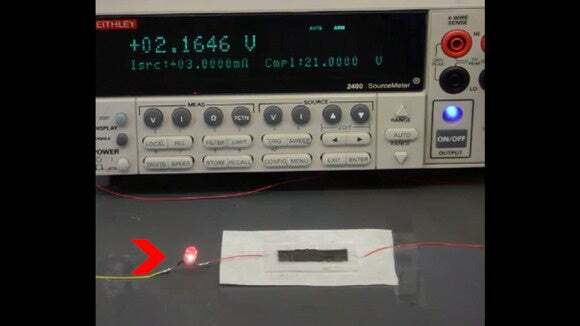 Once the battery shuts down, a runaway thermal reaction is avoided and the battery cools, eventually bringing the nickel spikes back into contact and allowing the electricity flow to resume. “We can even tune the temperature higher or lower depending on how many particles we put in or what type of polymer materials we choose,” said Zhenan Bao, a professor of chemical engineering at the university and one of the research team. The research was also carried out by Stanford engineer Yi Cui and postdoctoral scholar Zheng Chen. Details were published on Monday in the journal Nature Energy. A polyethylene film is tested for its reaction to heat in a lab at Stanford University. “Compared with previous approaches, our design provides a reliable, fast, reversible strategy that can achieve both high battery performance and improved safety,” Cui said in a statement. The battery is a second job for the nickel-embedded polyethylene material. Bao, the Stanford professor, used the same material in a wearable sensor she developed to measure body temperature.